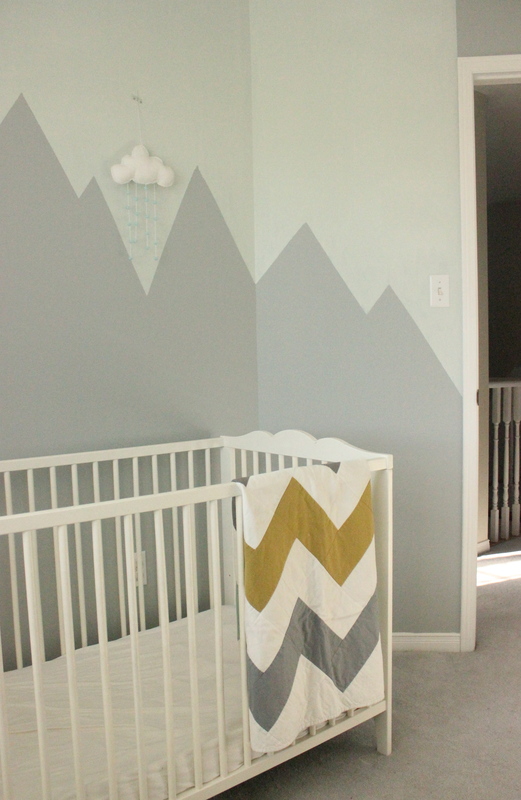 Here comes another painting project post — a mountain mural in the nursery. For some reason, I always want to paint every surface of a house just to make it my own but in this case, the blue-grey walls were a good neutral and allowed me to concentrate my painting efforts elsewhere. After debating between doing stencilling to look like wallpaper or colour blocking I went for a mountain range instead. The mountain wall from Syrinveien was so striking and a quick way to instantly add character to the room so I basically did the same thing. I continued the mountains over to the edge of the door frame and used a very pale semi-gloss paint that I had left over from the bathroom. 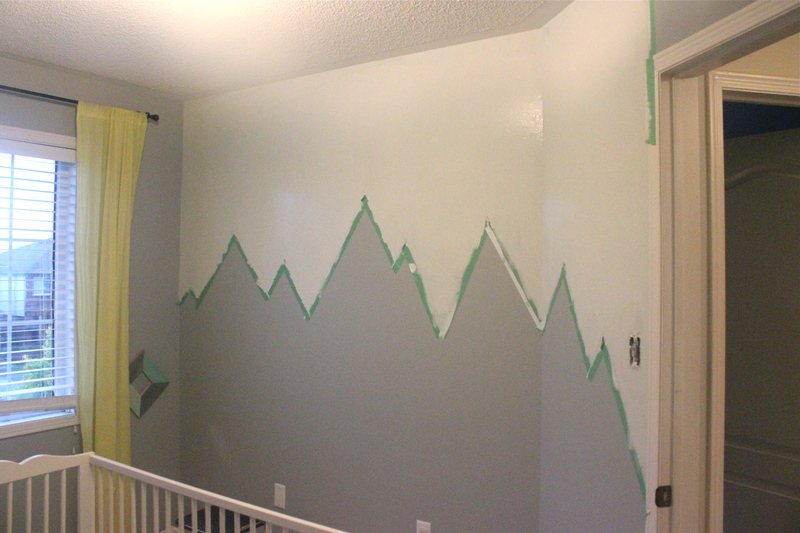 Masking off the mountain peaks took some time but the painting was fast and easier than repainting the entire room. Now the room has more personality and with the rain clouds above the mountains this reminds me of the familiar scenery growing up in Vancouver. Also thanks to my mum for making this quilt! 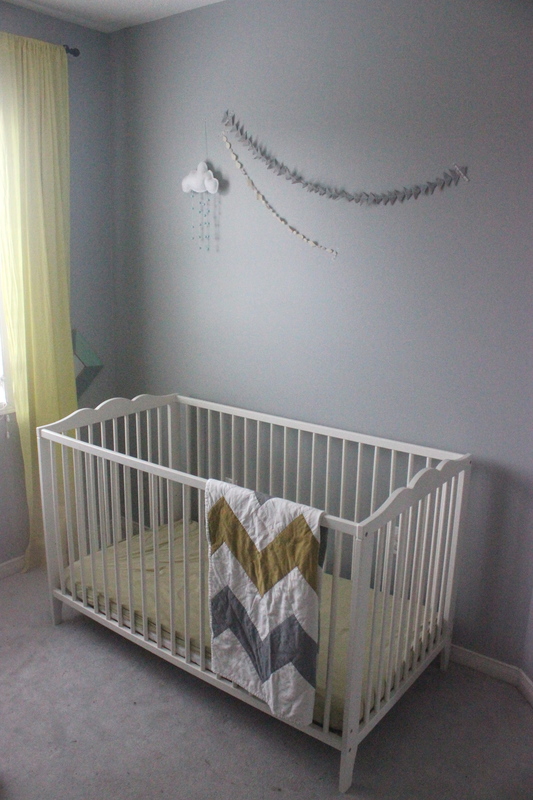 A full room tour is now up and shows this room as it has grown from a nursery into a preschooler’s bedroom.